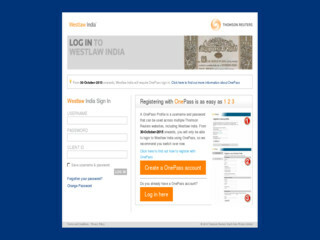 Westlaw India & International is one of the primary online legal research services for lawyers and legal professionals. In addition, it provides proprietary database services. Information resources on Westlaw include more than 40,000 databases of case law, state and federal statutes, administrative codes, newspaper and magazine articles, public records, law journals, law reviews, treatises, legal forms and other information resources of India, Australia, Canada, United Kingdom and United States and European Union. It is IP Based databases and accessible within the secured IP Ranges. Westlaw Collection includes 1600+ Academic Journals; Legislation of Australia, Canada, European Union; United Kingdom & United States of America.